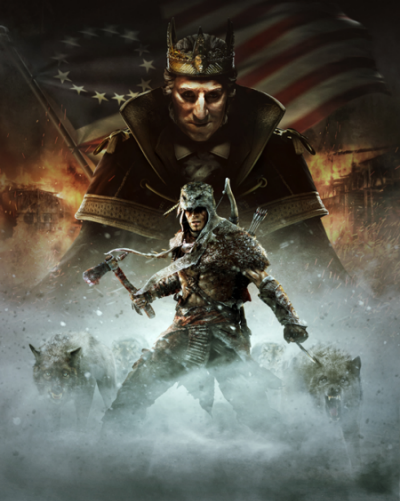 Assassin's Creed 3 DLC is coming! Assassin's Creed 3 DLC release date was finally announced. The Tyranny of King Washington for PC and Xbox360 is coming on the 19th of February, and the version for PlayStation3 will be available a day later. But this Assassin's Creed 3 DLC will have an interesting structure. The Tyranny of King Washington was divided into three parts, and only the first part of this long-awaited Assassin's Creed 3 DLC is coming in February. It means, that to get the full collection of the DLC, you will have to pay three times. By the way, the first part of Assassin's Creed 3 DLC will cost about $10, but if you have already purchased Season Pass, you'll be able to get it for free. Meantime, Season Pass for Assassin's Creed 3 DLC costs $30, so in any case Ubisoft is doing something wrong with our wallets. Are you going to pay $30 for Assassin's Creed 3 DLC? Write in the comments and don't forget to visit our Facebook community, where we are giving lot of interesting gaming staff for free in the simple contest.